It's official, after 8 seasons of douchey doctor behaviour, House is ending. It was announced today that the series if coming to close at the end of this season. I love House, but I think the whole thing is getting tired. 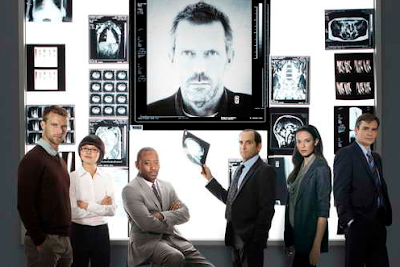 Once Cuddy and House became Huddy it was kind of over for me. It had reached its plateau...and then all of the breaking up and getting back together. That was just irritating. I actually haven't watched the show since the middle of last season. But I am sure House is still being the hospital God, saving everyone etc. I will be sad to see the crew go, but we will always have the series on DVD.